This project was funded by the EU Youth in Action Programme, through the Youth Democracy initiative. It ran from March to October 2014 and brought ten young Irish people and ten Polish people together to look at environmental campaigns in their two countries, in particular the campaigns against fracking and for renewable energy sources. The two groups also looked at how decisions are made at EU level and did a survey on the attitudes of MEP candidates on sustainable energy and fracking. Both in Poland and in Ireland, there were proposals to develop this industry. Over 90% of scientists agreed that climate change and global warming are realities. There were two main aims of the project. First was to involve young people in a discussion of the future energy choices of the European Union. It gave them the opportunity to see how decisions are being made in EU and how EU citizens can effect on it. Second was to encourage young people to be active citizens and engage them with this decision-making process through dialogue with local and national decision-makers, increasing their participation in the civic life of their community. The main aims were to explore how young people can influence decisions at national and EU level and to use Sustainable Energy and Climate Change issues as the subject of the exploration. 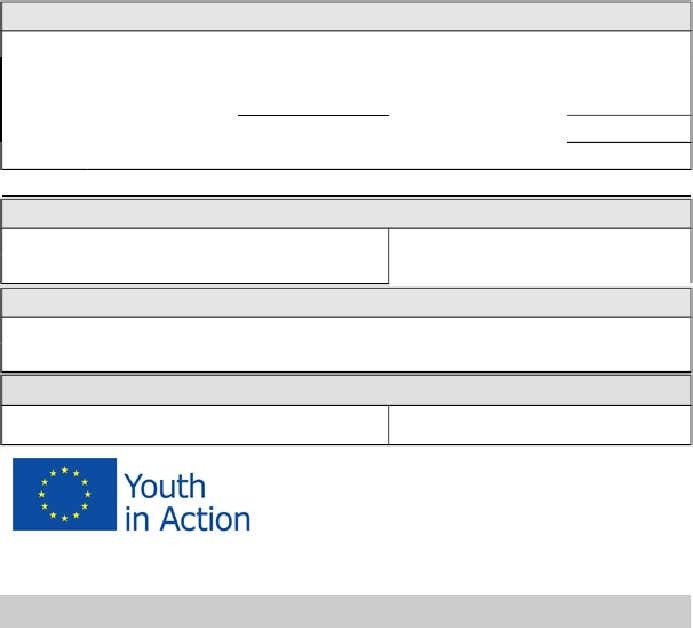 Explore the petition process and the possibility to use this tool in the context of Youth Democracy. A group of 20 young people worked on this project between the ages of 18 and 30, ten from Ireland and ten from Poland. Initially, the project focused on building relationships between the young people in each country and exploring ways of working together and other relevant issues through brainstorming and preparation workshops in each country. The two groups initially contacted each other and build relationships using Skype, email, social media, etc. The methodology of exploring and sharing relevant issues was agreed. Resources were developed both by the promoters and the participants to share information. A visit by the Polish group was organised to Ireland after an Advance Planning Visit. This visit built relationships between the participants and focused on how decisions are made nationally and throughout the EU. Activities included meetings with Local Authority members, local TDs, industry representatives and policy makers. An important milestone was the development and distribution of a questionnaire for candidates for the European Parliament elections in May. Self-selected members of both groups traveled to Brussels. They visited the EU Parliament and Commission in Brussels. As well as visiting the Parliament buildings, participants got the opportunity to discuss the project with MEPs from member states and with Commission officials. There was a visit to Poland by the Irish group. This visit had the important aim of discussing the results of the questionnaire and of the EU elections. Visits were made to significant projects relevant to the theme of this project in the area of fossil fuel exploitation and/or renewable energy technologies. The final action of the project was a conference in each country, which included presentations of results of the questionnaire, a report on Petitions, and presentation of findings of the project. Following the conference, there was an evaluation meeting in each country with Skype connectivity to allow the two groups to discuss the findings of the conference and come to some conclusions. How important are coal, gas and oil in Ireland and Poland? What do we use them for? What is the link between burning them and climate change? What is fracking? Must we start extracting gas and oil by fracking? What does this do to the environment and people’s health? Are there other ways of getting energy? What are they? Are there any problems with them? How do countries decide on energy sources? Can young people’s voices be heard when decisions are made? How does Europe work? Who makes the decisions? What is the EU Parliament and what does it look like? Can we meet and talk to an MEP? The young participants got to know each other, explored their two countries, asked tricky questions, got to know what it was like to do some campaigning, and explored Brussels and the European Parliament.